Tooth pain is very acute; meaning it is centralized to a specific area and has lasted for less than six months. Chronic tooth pain is ongoing and lasts for over six months. Regardless of the type of pain, the problem needs to be identified and treated as soon as possible. Common toothaches alert patients to cavities. More severe pain could be the result of a decayed root canal. At our Brookline dentist office, our team of experts is knowledgeable in diagnosing and treating all tooth pain that ails you. 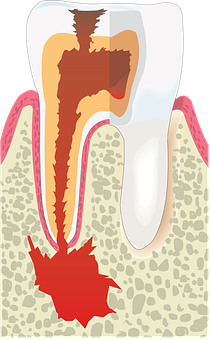 When your tooth hurts, it is likely from decay and bacteria damaging the tooth. As the decay grows, it can enter the canal of your tooth’s root and lead to an infection. Delaying treatment of a cavity often means a more substantial procedure at our Brookline dentist office. However, occasionally an accident or injury to the face and jaw will be the cause for a root canal procedure. 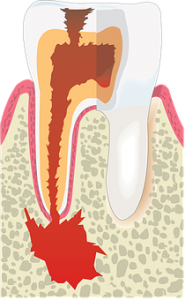 The process of a root canal is handled in one though sometimes two visits. Depending on the treatment plan for your restorative dental work, we’ll work with you to conveniently schedule your procedure. After x-rays and an examination to determine the ‘root’ of the problem, your Brookline dentist will remove the decay and bacteria from your tooth. This is no different than getting a cavity filled, and any pain is very minimal, if at all existent, with the procedure. If the area is sterilized and free of infection at this point, the canal will be sealed. To restore the tooth back to its previous, healthy condition, we may use a post and crown, or dental implant. The implant strengthens the tooth. Why not just pull the tooth? Extraction of a tooth is sometimes the answer, but saving the original tooth is the preferred method in the industry. A root canal will last a lifetime, whereas, some restorative procedures require additional upkeep in order to extend their life. With our Brookline dentist staff, we’ll walk you through the various options to maintain your oral health and keep your teeth in the best shape possible. If removal of the tooth is recommended, the original tooth must be replaced with a bridge or implant. Leaving the space open compromises your jaw structure, bite, and teeth and will result in additional dental work. If tooth pain is keeping you up at night or interfering with your day, call our Brookline dentist office to set up an appointment. Don’t wait for your regularly scheduled exam. We want your teeth to stay in good health and are here to help. Follow us on Instagram for convenient dental health tips or call us today to set up an appointment.